Tap the page up icon, then tap Add to Reading List. You can read the webpage later, even if you're offline. 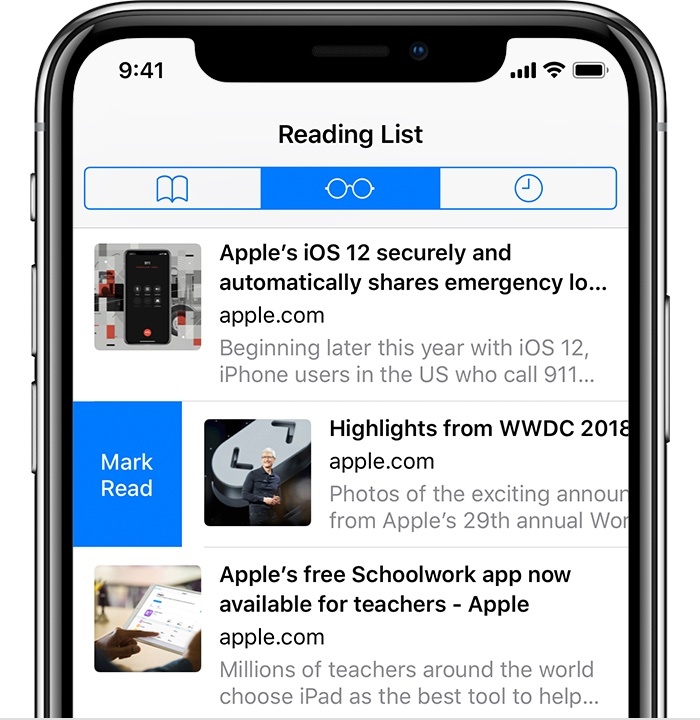 To save articles offline, go to Settings > Safari > Reading List and tap Automatically Save Offline. If you recently updated to iOS 11, you might see a prompt to Save Automatically. To view your Reading List. Tap the open book icon, then tap the eyeglasses icon. When you’re done, swipe right to mark the webpage as read or swipe left to delete it from your reading list.